Smartphone batteries have come a long way in just a few years. Even a budget smartphone in 2017 can store more juice — and manage it better — than smartphones from five years ago that would need a top-off at lunch if you wanted to go out that night. Still, whether because you’re away from a power outlet for an extended period or you just forgot to charge overnight, you’ll still sometimes find yourself in the red. If there are no power outlets or kindly bartenders in sight, here’s how to eke out the most of a battery before you go completely dark. This may seem like a no-brainer, but if for some reason you haven’t been doing this, start. Both iOS and Android have an automatic battery-saving mode that will kick in when you hit a certain percentage of battery life left (by default, 20 percent on iPhone and 15 percent on Android devices). It’ll do things like dim your screen, stop automatic app updates in the background, and stop some apps like your email client from pulling down data. To make sure it’s enabled, follow these steps. On iOS: This is automatically enabled — just make sure to hit yes on the pop-up that’ll show up when your battery goes below 20 percent. While low-power mode will keep you going when you hit 15 or 20 percent, that often only means it’ll last the rest of your subway ride home — your phone will still probably give up the ghost if you’re using any of its features pretty quickly. So if you know you’re going to be out for a while and may need to use a mapping app (or just want to listen to music on your way home), flip on low-power mode before you go. On iOS: Go to Settings > Battery, and flip the switch for Low Power Mode to green. On iOS 10, you can also try out some battery-saving suggestions based on your usages patterns without enabling everything in Low Power Mode. On Android: Go to Settings > Battery > Battery Saver, and enable Battery Saver. By far the biggest drain on a phone’s battery is powering your phone’s screen. Using low-power mode will already dim the brightness on your phone by quite a bit, but unless you’re in direct sunlight, you may be able to go lower. Make sure your phone’s auto-lock time is set as low as possible (ideally 30 seconds or shorter), so your screen won’t stay on after you stop using it. You can safely use mapping apps if you need to while your phone is low on battery, but leaving your phone on for turn-by-turn directions while driving, or a complicated series of transfers on public transit, will take it from red to dead pretty quickly. Keeping the screen on and constantly using your phone’s GPS just drains the battery too much. Obviously, watching Netflix while nursing a battery that’s hovering above zero isn’t a great idea. But streaming music or a podcast will still tax your phone’s battery. Stick to things you’ve downloaded to your phone if possible. You can usually snag an album’s worth of music or an hour-long podcast in a minute or so if you’re on a decent Wi-Fi connection. If you’re somewhere with a good Wi-Fi signal, use that instead of your cellular-data connection. Your Wi-Fi uses far less battery life than the cell radios in your phone — and, of course, is easier on your data plan as well. If you’ve ever gone through all your “open” apps and shut them down in an effort to save some battery life, good news: You never have to do that again. Shutting down background apps won’t do anything to save battery life. Both iOS and Android are much, much better managers of active apps than you’ll be, and all those “open” apps aren’t really open — they’re cached versions of where you left off in that particular app. (Some apps may still run in the background, but if you’re in a low-power mode already, they shouldn’t use much battery life.) 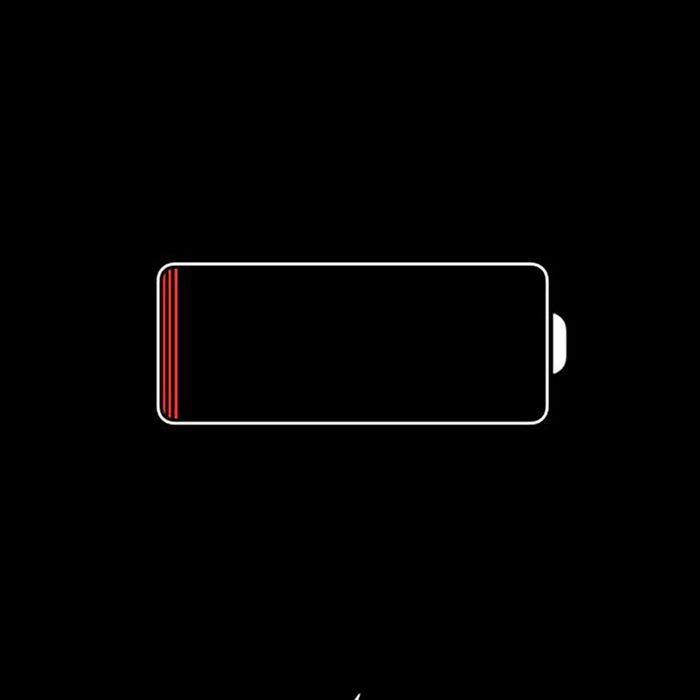 Shutting everything down just consumes battery life while you keep your screen on. Worse, if you do reopen the app, it’ll consume more power than if you’d just left everything as it was.